1857 Flying Eagle Cent. 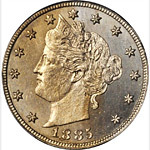 Type of 1857. MS-64 (PCGS). 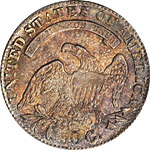 1857 Flying Eagle Cent. MS-64 (NGC). CAC. OH. 1859 Indian Cent. MS-66 (PCGS). 1859 Indian Cent. MS-65 (PCGS). 1859/1859 Indian Cent. Snow-1, FS-301. 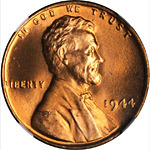 Repunched Date. MS-64+ (PCGS). Eagle Eye Photo Seal. CAC. 1860 Indian Cent. Rounded Bust. MS-66 (PCGS). 1861 Indian Cent. MS-66 (PCGS). 1862 Indian Cent. MS-66 (PCGS). 1863 Indian Cent. MS-66 (PCGS). 1864 Indian Cent. Bronze. MS-65 RD (PCGS). CAC. 1864 Indian Cent. Bronze. L on Ribbon. Snow-5b, FS-2304. Repunched Date. MS-66 RB (PCGS). 1864 Indian Cent. Bronze. L on Ribbon. MS-66 RB (PCGS). 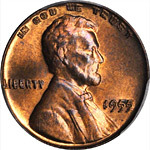 1865 Indian Cent. Fancy 5. MS-66 BN (NGC). OH. 1867 Indian Cent. MS-65 RB (NGC). CAC. OH. 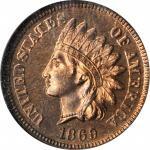 1868 Indian Cent. MS-66 RB (PCGS). CAC. 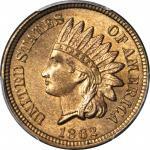 1869 Indian Cent. Proof-65 RB (NGC). 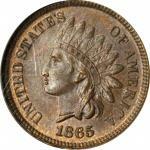 1869/69 Indian Cent. Snow-3d, FS-301. Repunched Date. 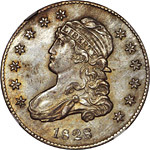 MS-64 RB (PCGS). OGH. 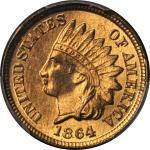 1869/69 Indian Cent. Snow-3c, FS-301. Repunched Date. MS-64 RB (PCGS). 1870 Indian Cent. FS-901. Shallow N (a.k.a. Reverse of 1869). MS-65+ RB (PCGS).